Federal officials have disclosed that they shipped radioactive plutonium to Nevada in spite of the state’s vehement opposition to the idea and concerns that doing so would be a slippery slope to opening the state up to further nuclear waste dumping. The Nevada attorney general’s office had wanted to sue the federal government to stop the plan on Oct. 26 — the day Nevada Day was observed — because of the symbolism that the state would not be bullied. 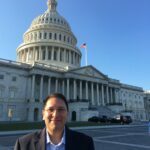 But they delayed that action because they thought that negotiating directly with the Department of Energy would strengthen their cases in the event the parties couldn’t reach an agreement. Attorney General Aaron Ford described communications the state had with federal officials since first learning last spring that the department was considering such a transfer. He said the state told officials the environmental analysis the government conducted was insufficient and has asked for a timeline in the fall of when the shipment might arrive. He said Federal Judge Miranda Du had even said during a recent court hearing that she hoped the government was not shipping the plutonium while the case was pending in front of her. Sen. Catherine Cortez Masto said she intends to get a briefing on the matter from DOE officials Thursday. Plutonium is a highly toxic and radioactive, silvery metal that was used in some of the earliest atomic bombs and is still used in the manufacturing of some nuclear weapons. The plan to store plutonium in Nevada is the result of the DOE and the National Nuclear Security Administration’s failure to meet a deadline to complete construction on a South Carolina facility that is meant to repurpose excess plutonium into fuel for nuclear reactors. A federal judge in May ordered that one metric ton of plutonium be removed from the site. Former Gov. Brian Sandoval expressed his opposition to the move in late September, sending a letter that asserts the DOE relied on an environmental review for the plan that was premised on previous analyses and decisions and did not take into account indefinitely storing up to one metric ton of plutonium at the Nevada National Security Site, which is about 100 miles north of Las Vegas. “In short, the Device Assembly Facility (DAF) at the NNSS is one of DOE’s few Cat-1 Special Nuclear Material facilities intended to conduct sensitive nuclear experiments, and should not be used as a high-priced storage facility for indefinitely housing plutonium that DOE has failed to properly manage,” Sandoval wrote. His chief of staff, Mike Willden, said that he had no knowledge of the plutonium shipment and does not believe Sandoval was informed, either. When asked about the possible routes, DOE declined to comment on the operations of the National Nuclear Security Administration’s (NNSA) Office of Secure Transportation. “The routes used by the NNSA Office of Secure Transportation are classified in order to provide a higher level of protection of the special nuclear material being moved,” a DOE spokesman said in an email. The spokesman also attributed DOE’s reticence to the ongoing lawsuit filed by Nevada in November to prevent the South Carolina plutonium shipments. 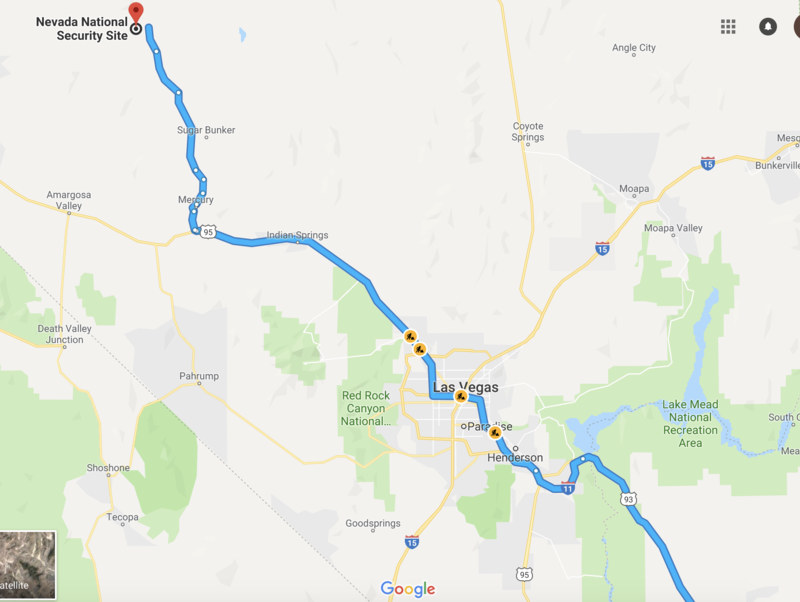 Google maps recommends two routes when driving from the Savannah River Site, which is located just east of Jackson, S.C., to the Nevada National Security Site. Routes possibly taken by Department of Energy trucks hauling a secret shipment of plutonium to the Nevada Nuclear Security Site. The fastest route, 2,244 miles and 33 hours, heads west on Interstate-20 to Atlanta, then switches to I-40 at Memphis, then on to Oklahoma City, then Albuquerque before getting on U.S. 93 in Arizona and heading to Henderson and Las Vegas. The other route, which is 2,346 miles and a 35 hour drive, heads northeast at Atlanta, through Nashville, to Paducah, Ky., across all of Missouri and south to Oklahoma City where it rejoins the other route. 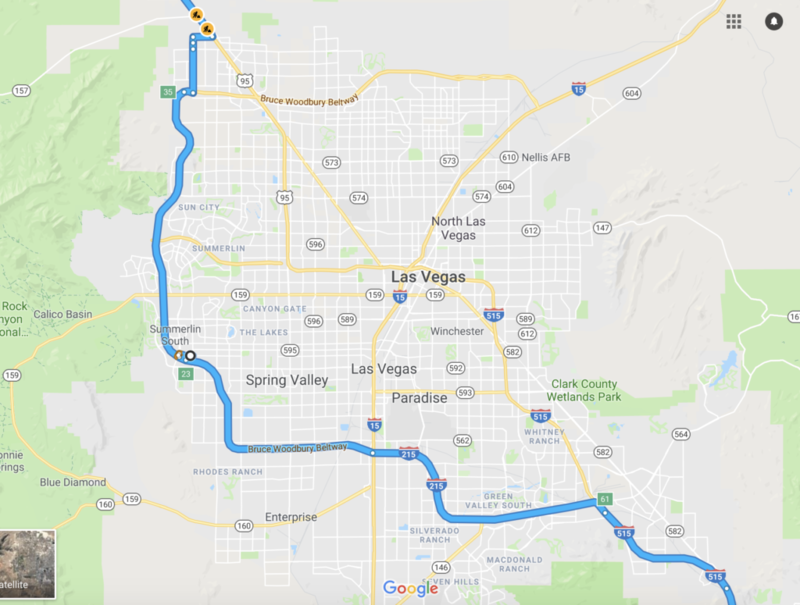 Once in Nevada, the recommended route goes along I-11 around Boulder City then into downtown Las Vegas on I-515. The route switches onto U.S. 95 in Las Vegas, heading northwest until reaching Mercury Highway in Nye County and making its way to NNSS. 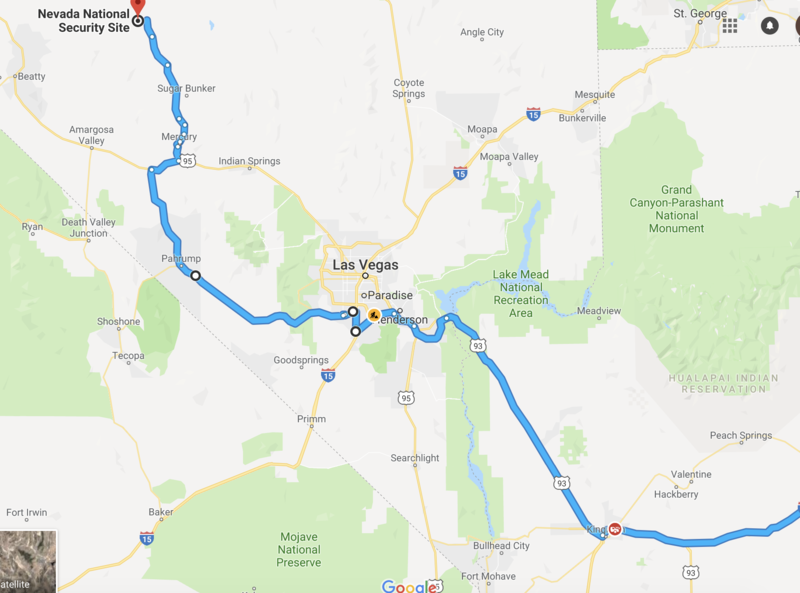 Map of route through Las Vegas possibly taken by Department of Energy trucks carrying a secret shipment plutonium to the Nevada Nuclear Security Site. Another option would be to go around downtown Las Vegas. 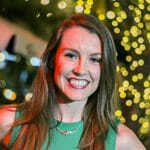 That can be done by taking the Bruce Woodbury Beltway near Summerlin South and then catching U.S. 95, north of the city. Map of route through Summerlin South possibly taken by Department of Energy trucks carrying a secret shipment plutonium to the Nevada Nuclear Security Site. A third option, which would run through less populated areas, would take S.R. 160 further west of the city through Pahrump. Map of route through Pahrump possibly taken by Department of Energy trucks carrying a secret shipment plutonium to the Nevada Nuclear Security Site. Updated at 1:28 p.m. to add comments from Sen. Catherine Cortez Masto, Sen. Jacky Rosen, Rep. Susie Lee and Rep. Steven Horsford. Updated at 5:20 to add details from press conference with Ford and Sisolak. Updated Jan. 31, 1:05 p.m. to include possible routes taken and comment from the Department of Energy.